I have a new website! And it’s better than this piece of crap! Peace! This entry was posted in Uncategorized on December 2, 2014 by skyrule4231. Volga is a character that is introduced very early in the game. You fight him many times again, but that’s beside the point. The point is, I know who Volga is, AND I have a theory on when Hyrule Warriors would take place, if it was part of the timeline. If Volvagia is a resurrected form of Volga, then my theory about the timeline is that Hyrule warriors takes place either in-between Four swords and Ocarina of Time or before Skyward Sword. More likely set right before Ocarina of Time, that way, when the dimensions split, you have past, (Skyward Sword) present, (Ocarina of Time) and future. (Twilight Princess) so yeah. That’s a thing. Comment what you think about my theory, or theories of your own! Thanks for reading. This entry was posted in Uncategorized on November 16, 2014 by skyrule4231. So let’s have our first open discussion on Skyrule. What sort of new things/differences do you think there’ll be between Majora’s Mask N64 and Majora’s Mask 3D? I assume there’ll be a simpler/easier to understand design in the Stone Tower Temple. This entry was posted in Uncategorized on November 13, 2014 by skyrule4231. 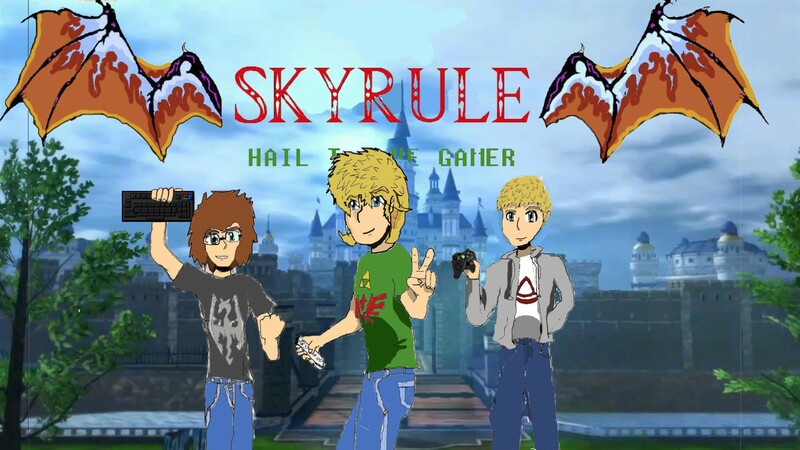 Hey everyone, welcome to Skyrule’s first annual Zelda month! Through the extent of November Skyrule is going to be celebrating Zelda month by posting interesting Zelda theories and Fan hype for Majora’s Mask 3D and Zelda U.
I have to replace my PC so it might take a few months or so to save up. I will continue mobile skits and top 10’s until then. This entry was posted in Uncategorized on September 13, 2014 by skyrule4231. Okay so there are a few reasons why I haven’t been posting videos on YouTube and they all have legitimate structure so bare with me. Lastly, I’ve been waiting on Thieving (from Skyrule) to get a computer (which he finally ordered) and Jadon was supposed to take over Skyrule while I’m on my downtime, but he hasn’t! (the lazy bum!) He was out of commission for a while due to Wi-Fi errors, but I know he has access to it now so you guys should bug him about that! I AM working on a new video for the pack and it should be up in a few days, look forward to it! This entry was posted in Uncategorized on August 6, 2014 by skyrule4231. This entry was posted in Uncategorized on June 23, 2014 by skyrule4231. Alma Sellers on IT’S UP!